How do financial markets and institutions affect businesses and individuals? How do firms raise funds? How can an individual use markets and institutions to meet their own personal goals? In order to answer these questions, a reader must have a strong understanding of financial markets and institutions. 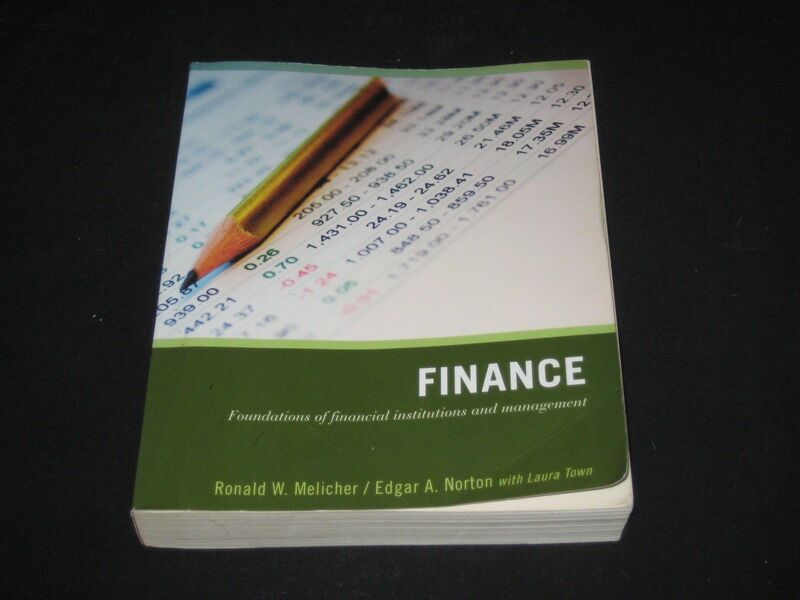 This concise book provides the necessary information, presenting the general principles of finance and showing how they are applied in the field. No further information has been provided for this title. Preface. Acknowledgments. Part I: Basic Financial Principles. 1. Introduction to Finance. Introduction. 1.1 Why Study Finance? 1.2 What Is Finance? 1.3 Four Principles of Finance. 1.4 The Financial System. 1.5 Financial Functions. 1.6. Types of Financial Institutions. 1.7 Types of Financial Markets. 1.8 Types of Securities. 1.9 International Securities and Markets. 2. Money and Interest Rates. Introduction. 2.1 Overview of the Monetary System. 2.2 The Federal Reserve System. 2.3 The Development of Money in the United States. 2.4 U.S. Money Supply Today. 2.5 Money Supply and Economic Activity. 2.6 Interest: The Cost of Money. 2.7 Structure of Interest Rates. 2.8 The Yield Curve. 3. Time Value of Money. Introduction. 3.1 The Math of Finance. 3.2 Compounding to Determine Future Values. 3.3 Inflation or Purchasing Power Implications. 3.4 Discounting to Determine Present Values. 3.5 Finding Interest Rates and Time Requirements. 3.6 Future Value of an Annuity. 3.7 Future Value of an Annuity Due. 3.8 Frequent Compounding or Discounting Intervals. 3.9 APR Versus EAR. 3.10 Cost of Consumer Credit. 4. Financial Statements, Cash Flow and Taxes. Introduction. 4.1 Overview of Financial Statements. 4.2 U.S. Business Organizations. 4.3 Starting a Business. 4.4 Annual Reports. 4.5 Balance Sheet. 4.6 Income Statement. 4.7 Cash Flow Statement. 4.8 Financial Statements of Different Companies. 4.9 Our Federal Tax System. 5. Analysis Of Financial Statements. Introduction. 5.1 Financial Statement Analysis. 5.2 Ratio Analysis. 5.3 Types of Financial Ratios. 5.4 Du Pont Method of Ratio Analysis. 5.5 Long-Term Financial Planning. 5.6 Cost-Volume-Profit Analysis. Part II: Using Financial Principles in Business. 6. The Basics of Capital Budgeting. Introduction. 6.1 Overview of Capital Budgeting.. 6.2 Capital Budgeting Decisions. 6.3 Capital Budgeting Techniques. 7. Cash Flow Estimation and Risk Analysis. Introduction. 7.1 Cash Flows and Competitive Advantage. 7.2 Isolating Project Cash Flows. 7.3 Approaches to Estimating Project Cash Flows. 7.4 Risk-Related Considerations. 7.5 Strategic Analysis. 7.6 Real-Option Analysis. 8. Managing Working Capital. Introduction. 8.1 Identifying Working Capital. 8.2 Operating Cash and Conversion Cycles. 8.3 Working Capital Requirements. 8.4 Cash Budgets. 8.5 Seasonal versus Level Production. 8.6 Management of Current Assets. 8.7 Getting-and Keeping-the Cash. 8.8 Accounts Receivable Management And Credit Analysis. 8.9 Inventory Management. 8.10 Technology and Managing Working Capital . 9. Short-Term Business Financing. Introduction. 9.1 Strategies for Financing Working Capital. 9.2 Factors Affecting Short-Term Financing. 9.3 Short-Term Financing Sources. 9.4 Computing Interest Rates. 9.5 Asset-Based Lending for Short-Term Financing. 9.6 Other Forms of Security. 9.7 The Cost of Short-Term Financing. 10. Risk and Rate of Return. Introduction. 10.1 Historical Return and Risk for a Single Asset. 10.2 Expected Measures of Return and Risk. 10.3 Historical Returns and Risk of Different Assets. 10.4 Efficient Capital Markets. 10.5 Portfolio Returns and Risk. 10.6 Diversification. 10.7 Portfolio Risk and the Number of Investments. 10.8 Capital Asset Pricing Model. 11. Capital Structure and the Cost of Capital.